You know what one of the fringe benefits of having a blog is? Sometimes when you post about things you like, your friends read said posts and buy you amazing gifts. One of my friends brought a Darby Smart box to my birthday, and I may have freaked out a little. I may have also been two or three Moscow Mules deep when I opened said gift. You know, things happen. This particular box was for some adorable Textured Vases. It was a fun and simple project that I probably should not have completed in an unventilated room (holy spraypaint) that I could do in one day. We have surprisingly few vases in our place, so these were just what we needed. I love the way they turned out, and I'm excited to use them for all of my spring flowers. I also love that I ended up with some leftover supplies from the kit so I can add some texture to some other things around my house. 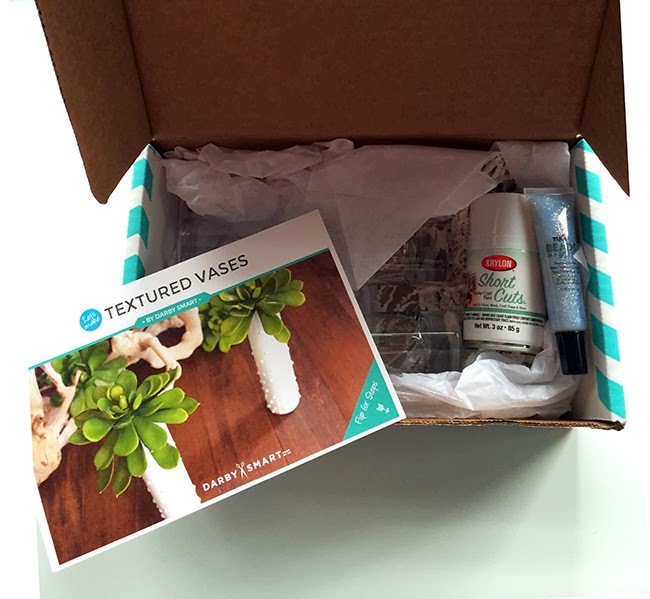 Interested in trying a Darby Smart kit for yourself? They are generously offering $10 off any kit for all KDTI readers using the code CREATE14. The code is valid until March 18th. 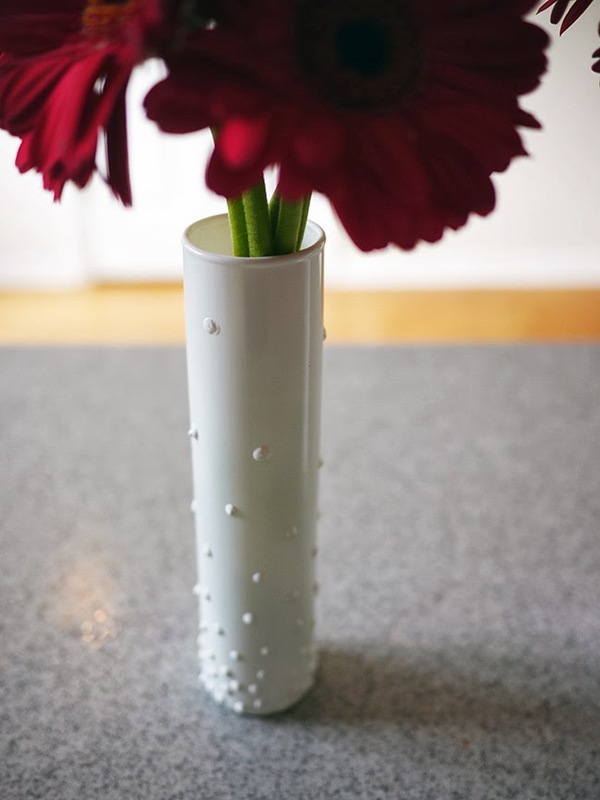 Oh, and a little tip to keep small bunches of flowers together in a vase like this? Twist ties. Just make sure the twist tie is above the water line. 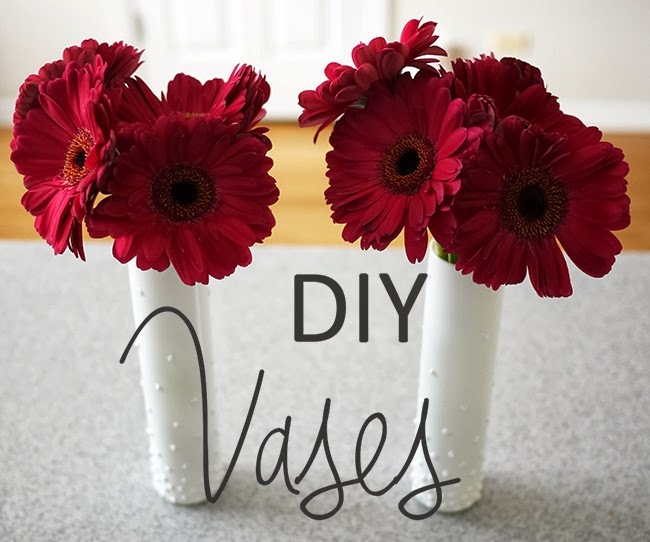 These came out so cute–kind of like milk glass vases!